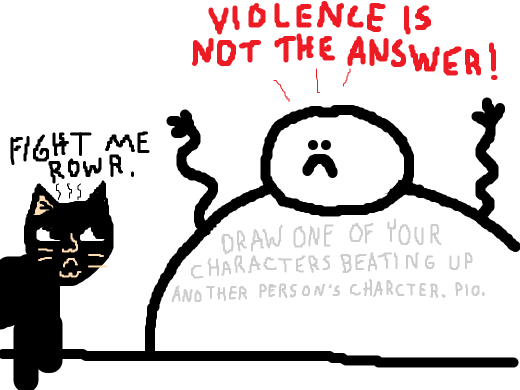 Draw one of your character beating up another person character. 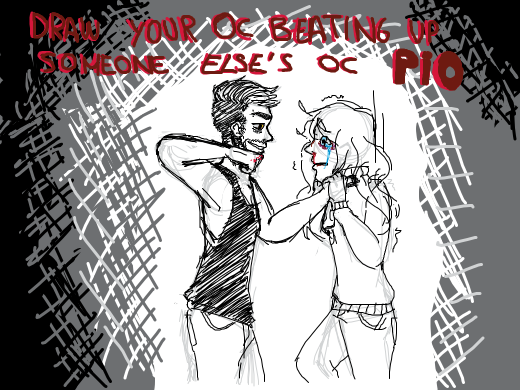 Draw one of your characters beating up another person's character, PIO! 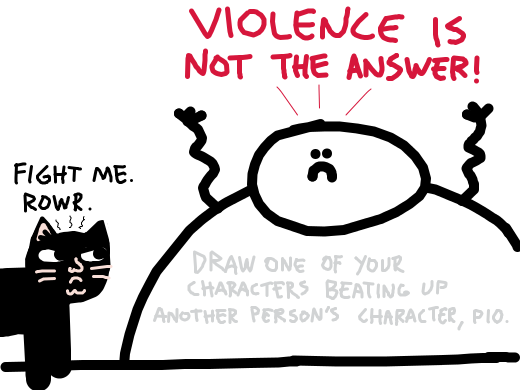 Draw one of your characters beating up another person's character, PIO. @AlphaOmegaEpsilon is this avian_wolf? 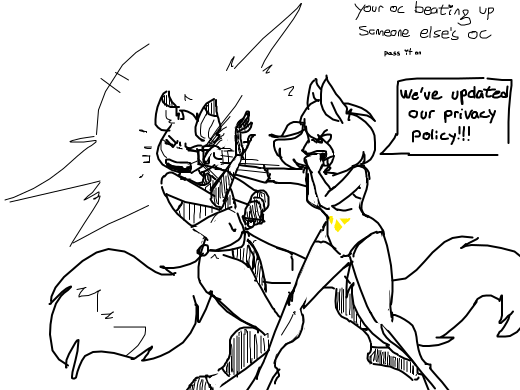 Also, really good drawing! !